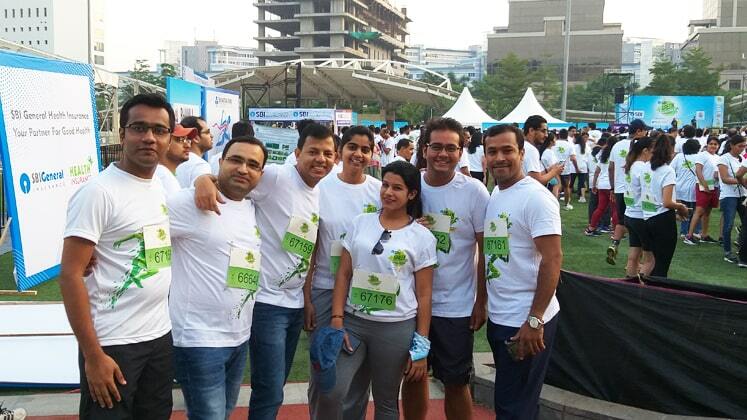 The Global Organic Textile Standard, a global eco-label which is the globally renowned textile processing standard for organic textiles offered its organic apparel to the Green Marathon runners who were participating in an event hosted by SBI in Mumbai recently. It marked the second event of the SBI Green Marathon program, after they hosted one in Delhi a couple of months back. The theme of the event was to celebrate passion towards the surroundings, sustainability and how to create improved living conditions for the future. Notably, with the help of GOTS, the whole textile supply chain of organic textile can be thoroughly traced; from the fabric to ready-made garments. He further added that it is everyone’s duty, that all of us should use organic products, in our apparel or in the food products. “In the future, I will always endeavour to purchase garments which are GOTS certified,” a participant was quoted as saying about the company’s product. The GOTS label on the apparel features the manufacturer’s license number. The shoppers can confirm the validity on GOTS’ website. Apparel that comes with GOTS label offers an assurance to customer that their merchandise has been curated using sustainable techniques and certified organic materials. Additionally, organic cotton garments indicates no use of toxic pesticides and synthetic fertilizers, nor hazardous dyes and chemicals, which makes sure that the textile is safe for the consumer’s skin. Moreover, GOTS social criteria also ensure that there is no use of child labour and working conditions are safe throughout the textile supply chain maintaining high standards of sustainability. responsibility to take care of the environment and society at large,” says Sumit Gupta, GOTS Representative in India & Bangladesh.